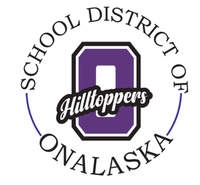 The Onalaska School Board encourages parents and others to attend school Board meetings. Regular meetings are held on the second and fourth Mondays of each month at 6:00 p.m. in the Board of Education room at the District Office - 237 2nd Ave S.
Click here for video of past Board of Education meetings. Videos found at the link above are Closed Captioned. To enable closed captioning, click on the video you wish to view, click "CC" in the lower toolbar of the video playback window, and choose "Generated English, (United States)."